How about sparing the kid and not using the rod? Spanking, or “whupping” as it is referred to in some households, is usually accepted under the pretenses of the “spare the rod, spoil the child” concept. This six-word phrase is part of an old adage that many families, including those in communities of color, use to justify disciplining children. 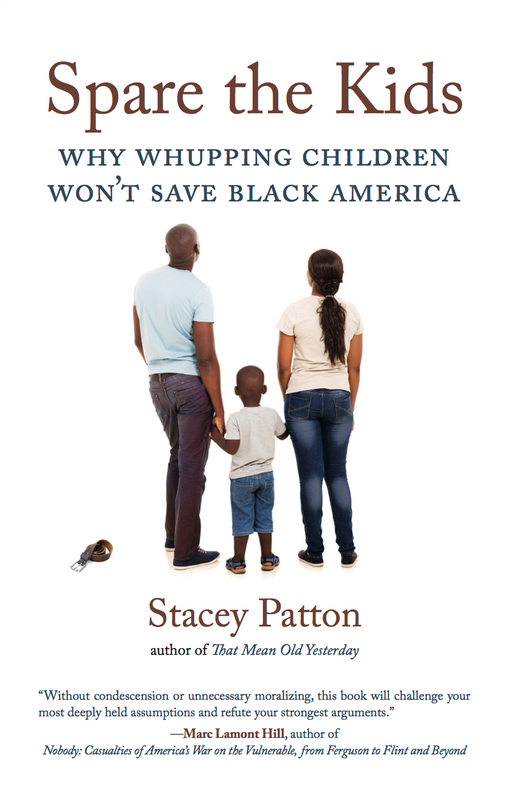 But author and journalist Stacey Patton fights for the rights of children and speaks out against corporal punishment. 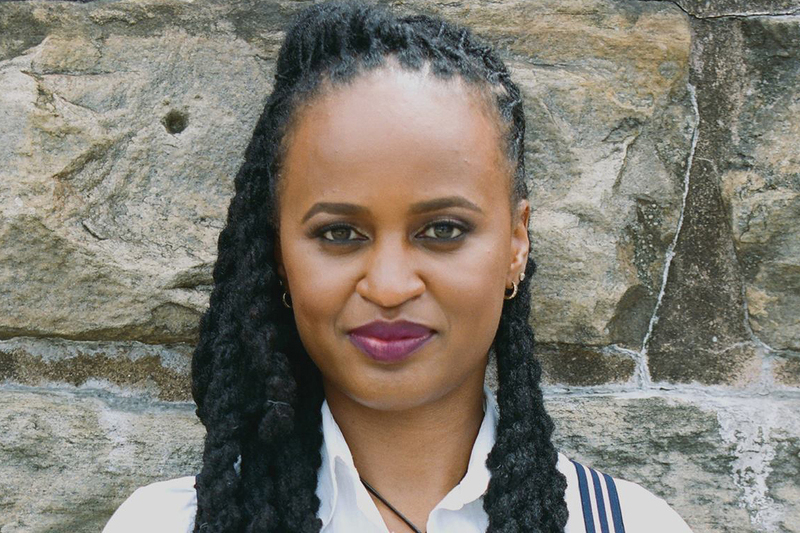 Her new book released on March 21, Spare the Kids: Why Whupping Children Won’t Save Black America, examines this theory. Patton, a professor of journalism at Morgan State University who has a doctorate from Rutgers, once lived that reality. She is a child abuse survivor who explains in Spare the Kids how black parents’ particular attachment to corporal punishment reflects and reinforces racist ideology in which black children are seen as inherently inferior, less civilized and in need of punitive forms of control. Patton also deconstructs the historical roots and cultural logic behind the assault on young black bodies — in the streets, as well as in the home. The New Jersey native’s first book, That Mean Old Yesterday, was a memoir published in 2007 that deals with corporal punishment from a more personal perspective. She spoke with The Undefeated about her new book, her journey and her beliefs. How did you become involved with this subject matter? The “spare the rod, spoil the child” concept is pervasive in communities of color and used as justification to discipline children. What are you thoughts on spanking or whupping? I survived it. When I was a kid, I was adopted by a middle-class African-American couple from New Jersey. They believed that ‘spare the rod, spoil the child’ philosophy. I had never been hit while I was in foster care until I came to their house when I was 5, so it was pretty earth-shattering for me. The people who were supposed to be taking care of me, loving me, nurturing me, actually hurt my body. I never normalized it. It never felt like love or protection. I never forgot how afraid I was, how much it hurt. I ran away the first time when I was 7, and then again when I was 12. I was just totally unsuited to be violated in this way. It was my experiences in foster care, meeting other kids, mostly kids of color, who were injured in this way by their parents and caretakers, and I knew that I wanted to grow up to write something or advocate against this kind of treatment of children. I knew from the time I was a young girl that I would be involved in this work in my life. I wrote most of it at home. I think all of it, really, yeah. All of it at home. How old were you when you first started getting that itch to tell your story? I always wanted to say something about it, even when I was a kid. I didn’t have the language. I didn’t have the emotional literacy. This conversation happened amongst adults. Adults were the ones who joked about it, who preached about it, who argued that it was a good thing, that it was necessary. I didn’t agree when I was a kid, but I didn’t have the language. When I was in foster care again — when I was 12, 13 — I started writing. I started first writing about my own experience. I needed to figure it out. I needed to understand it. That’s when I first started from a therapeutic perspective talking about it in foster care, but I started seriously wanting to write a book about it when I was in college. That’s when I started writing the first book. How were your college years? I spent my first two years at Johns Hopkins but I hated it, and so then I transferred to NYU. I was a basketball player in college, so I was heavily recruited, but I also wanted the academic experience. Then, once I got to graduate school to do a Ph.D. in African-American history, that’s when I started really seeing the parallels between the experiences of enslaved children and children who grew up during Jim Crow and my own personal experience when it came to this issue. I really started delving into slave narratives and Jim Crow narratives, and I could see that even though whipping children might be something that’s prevalent in black communities, it’s not intuitive to our culture. That’s when I started really understanding how this is a result of historical trauma. What do you want readers to take from Spare the Kids? I want them to be inspired to stop hitting their kids, and to treat them with respect, and to accept this idea that children should enjoy the same right to bodily integrity as adults. I want them to go through each chapter and really, really take in the information, whether it’s talking about the historical roots of the issue, to see where this practice came from, to know that it did not come from Africa, the principal regions of West Africa where African-Americans’ ancestors came from. It’s not something we did. That colonialism, slavery, indoctrination into Christianity and hundreds of years of racial devaluation are to blame for this. This is not something that’s native to us, so we need to stop and ask, where did this come from and why do we embrace it? Why do we think it’s a good thing, when it’s really counterintuitive and it’s at the root of a lot of our issues in our communities? Whether it’s the school-to-prison pipeline, whether it’s disparities in educational achievement, racial disparities in foster care and child fatalities. Black people have the highest child maltreatment rate, also fatalities. I want ministers to stop preaching ‘spare the rod, spoil the child.’ It’s not even in the Bible. I want comedians to stop joking about it, radio hosts to stop joking about it, and to look at how this is damaging. How it was damaging to us, those of us who survived it, and how it’s continuing to damage our children and our communities. Have you spoken to your adoptive parents about the pain you faced when you were younger? No, I haven’t seen or lived with them since I was 12 years old. That’s when I left. I haven’t had conversations since I was a kid with them about this. I moved back into foster care, a series of foster homes, youth shelters, group homes, until I finally won a full scholarship to a boarding school in New Jersey. I was an athlete, so that helped. I got an academic scholarship, and it really altered the trajectory of my life. I never turned back. I never looked back. Do you know your birth parents? I met my biological father in 2009; I believe it was about a week before he died from cancer. Basically, I said hello and goodbye at the same time. My biological mother died when I was a kid, so I have no memory of her. Is writing for you a form of healing? I think my first book was helpful. It was certainly very cathartic because I got to say everything I couldn’t say when I was a kid. I got to cuss on the page and all that kind of stuff. A way to be heard, because I’d spent an entire childhood with people saying, ‘Kids should be seen and not heard.’ In that regard, it helped me find my voice. My writing has changed over the years, and I’ve become a lot more unapologetic and irreverent. It has empowered me to be authentic and also be an example to other people on how you tell your truth and how you’re fearless about it. It’s less therapeutic than it was when I was younger and still trying to figure it out. Now it’s more just like, ‘Here it is.’ I don’t care what people do with it. I don’t really have any emotions about it. It’s just something I do, part of my life, whether I’m doing it on social media, or for The Washington Post or The New York Times, or writing a book. It’s a gift. It’s a responsibility, a duty for me, and so I just do it. What cultural value do you see in your stories? That it’s going to upend some cultural myths. It’s going to upturn those. That I’m airing dirty laundry, so a lot of people aren’t going to like that. I want to shift the cultural conversation, the generational lie that you have to process a black child’s body through pain in order for that child to live, to behave, to learn, to be kept safe. I’m resisting that cultural attitude and cultural conversation because it’s destructive. I tell people when I go through the whole history of how this process got embedded in our culture. I have to remind people that it doesn’t start on the plantation during slavery. It doesn’t even start in West Africa. It starts 2,000 years ago, when Europeans were being absolutely sadistic with their own children. They went through centuries and centuries of trauma and brutality, and when they ventured out of Europe and started colonizing and slave trading, they brought those traumas with them on top of their racism and manifest destiny and religiosity, all of that stuff. Their trauma and brutality and greed and racism cascaded across generations and cultures. When people tell me that whupping kids is a black thing, I say that’s an absolute lie, because if you know anything about history, particularly how Western brutality got implanted into other cultures, you will understand that whupping is perhaps the whitest and most effective thing you can do to destroy a black child. It was listening to the testimonies of people who talk about the pain they suffered during their own childhood, and how so many people couldn’t even talk about this because it was considered culturally taboo to do so. It’s disrespectful to their mothers and other elders. It was listening to their tears. Sitting in other people’s pain was really difficult. It was difficult for me too. I have a whole chapter on the rise of digi-punishment, parents who pick up their cellphone and record themselves standing there beating their kid. Watching those over a period to analyze them, listening to black comedians who joked about this kind of stuff. Kevin Hart jokes about punching his infant daughter in the throat. Bernie Mac jokes about beating kids until the white meat shows. All of those things, if you look at them all together, it’s just really depressing. It’s awful, and just over and over again, the number of black people who believe that they’re a successful athlete, or successful celebrity or politician, or didn’t go to jail, didn’t turn out to be a crackhead or a criminal, that all of this happened because somebody beat it into them, which just cosigns the racist logic that the only way to make black people moral, law-abiding, successful, healthy, loving people is by beating them. I guess I had my moments of cynicism, where I felt like OK, I could sit here and unpack the historical roots of this. I could look at this issue from a scientific perspective, from a sociological perspective and so on, and also bring people’s voices to the table, and there will still be a lot of people who walk away from this and say, ‘Spare the rod, spoil the child’ and all the other tired old clichéd lines that people like to throw out there to legitimize hurting children’s bodies, or to absolve their parents or grandparents, other caretakers, who were wrong for assaulting them as children. It doesn’t mean they didn’t love them. Yeah, the love was there, but they were still wrong, and it still caused damage. Are there any concepts in your book that may be new to readers? I think that some of the data. For example, in the past 10 years, if you look at the annual child maltreatment reports that are put out by the Association for Children and Families, African-Americans have killed over 3,600 children. A lot of people will say, ‘It’s better for me to whup my child than the police,’ but when you look at the data, yes, we’ve seen instances of state violence against unarmed black children, but when you look at the data for the past 10 years, African-Americans kill an average of 360 children a year. If you line that up against the police killings, it pales in comparison. African-American children are more at risk of being assaulted, physically injured or killed by their own parents than by the police. There’s that. Another disturbing statistic was to discover that since the 1990s, the number of children in foster care who are given psychotropic medications. Most of them, a disproportionate number of them, are black girls. We have a predominantly white-taught welfare system. You have these professionals who already have their racial biases and ideas about black children and their behavior, and instead of helping them, instead of giving them the treatment that they need to heal and to become productive, thriving young adults, they’re being destroyed in the system. Many of them are being put along the pathway from foster care to the juvenile justice system. Hopefully it is a gift to people who want to heal and who want to change. It’s sharpened my analysis and my ability to talk about this with a bit more savvy. It makes people very uncomfortable, but I’m completely unfazed because I think about the 360-something children, black children, who are killed in our communities every year. That’s what keeps me going. What has been the most difficult part of your entire journey? I think for me was being an adoptee and never getting to meet my biological mother, not being able to ever ask her certain questions, never knowing what she smelled like, what it had felt like to be hugged by her, never hearing her voice, never having that connection. Every year I blamed her. I was like, ‘If she hadn’t given me up, I would have never gone through all of this,’ but I’ve evolved spiritually to understand that from a karmic level, a spiritual perspective, we choose our lives. My spiritual adviser explained that to me. I would have never been able to do this work if I had come into this world with a mother who stayed, who nurtured me in a healthy way. I wouldn’t have been able to do this work, so I’ve evolved beyond the anger, the sense of victimization, the abandonment, the ‘Oh, why me’ to an appreciation. There’s nothing to forgive. She provided the best hope for me to get here, and I realize that sometimes the only investment that a parent can give you is life. That was hard for me, but I found peace with my mother and my father. I thank them. I’m grateful for my life, for a mind, a body. I understand why I’m here. I’ve never known them, but I love them for that. Even my adoptive mother. I don’t have the rage and the anger that I’ve had for her for much of my life. I haven’t forgiven her. I have no plan to, but I understand that she, too, was fulfilling that part of this agreement. She didn’t kill me. I survived to do this work, and once again there’s nothing to forgive. To always find the positive intent in every situation, no matter how absurd it is. … When things happen, even bad things, you have to step back and say, ‘What’s the lesson that I was supposed to learn from this?’ Once you get that lesson, you can then choose to be bitter about things that have happened or you can choose to be grateful for the lesson.